Nowadays, life has been changed dramatically due to technological developments. Many orthodox ways of spending lives have become obsolete and outdated. Some people are still stick to their traditions and cultures and are very reluctant to accept new and modern ways of lives. However, some people state that in order to compete with the current challenges, we should train our younger generation with the latest and trendy ideas. Firstly, people like to live in joint family system for the rest of their life. This gives them opportunity to learn from their ancestor about various aspect of life. There is always a special place for elder, younger like to obey and respect them and followed their instructions. Such kind of love and respect is hard to see in modern life style. Adults become more independent, showing less respect towards their parents decisions and other aspect of life. Secondly, there has been an element of care for their family and other members of the society in the past. Now, everyone first think about their own benefit and less likely to care about others. By this I mean that new ideas contribute in making our generation selfish and egoist. 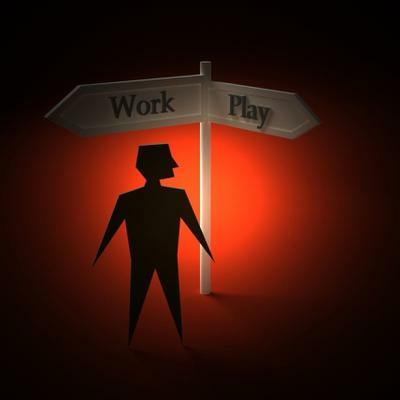 Thirdly, there is a significant change in people behavior in modern world; they have less patience while doing any work. They have become lazier and more opted towards shortcuts and less mean of work. Finally, I strongly believe that traditional ways for preparing younger generation is idle and have many in-deniable benefits than modern ways of handling youngster. Gud vocabulary, perfect organization. I think it will help others too. There are different opinions about the ways to teach children to be good members of society. Some people think that it must be from their parents, while others believe that it should be from the schools. In my opinion, the best way teaching the children’s role in the society is from both, the parents and the schools, because of two reasons. First, the time which the children spend with their parents or the teachers is not enough for learning from only one of two choices. The children have only about eight hours each day in the school, while they have the remaining hours with their parents Therefore, it will be more efficient, if the children can learn their role of the society from all day activities. Second, learning from the parents or the teachers give different sense of acknowledgement. There are different environment and different way of teaching. Family is a small society that the children can learn the basic manner of the society before facing other people. Moreover, the parents, who have fed their children since they have been born, will know the best method to teach and make their children paying attention. While, the schools are the place giving other learning experience because of bigger society. In the school, the children will meet new friends and teachers. Thus, they could learn how to be good people of the society by the experience when they spend the time with their friends. Then, the teachers are the one who teach and advise what the good things that the children should do are. In conclusion, the most efficient way to teach the children how to be good people of the society should be from the parents and the school altogether. The reason is that the time spending in both places and the different way of recognition. Thanks a lot. This answer is good for me to understand. Nowadays, it’s up to debate whether the children should be thought how to become good members of society by the parents or school. This essay is going to discuss different views on the subject. To begin, some people may argue that knowing how to be a good citizen is part of education and, as a result of that, schools should be the institutions charged of the role of teaching these rules; however, being school already part of the society, I strongly believe that the parents should be worried about the behavior of their children and as a consequence of that, they should be the first ones to teach how to integrate in society by following basic rules of common sense. Although this point of view should be shared by the majority of people, it’s sometimes claimed that children spend most of their time at school studying subjects that don’t have real applications in life, thus part of these hours should be devoted to improving the behavior. In addition to that, parents tend to spend less time each day with their sons because of work, therefore the few moments shared together with family should be enjoyable and not about teaching. On the other hand, teachers are paid full time to educate children so they have to set parents free from this duty. All in all, both parents and schools need to cooperate to accomplish the mission of education in the best way, thus more time should be spent talking about the correct behavior of a good citizen. In the first body paragraph, you just give opinions, as if it is an extended thesis. You don't provide any arguments or support for having those opinions. And the arguments in your second body paragraph are unclear - they do not really seem to answer the question. You don't seem anywhere to have really explained how schools can teach children to be good members of society and how parents can. Discussing these would answer the question. Your grammar and vocabulary are generally ok, but you really need to work on your content i.e. task response. I think the introduction should be a rephrasing of the question. However, you could add a line more to make your thesis statement more clear. The information in para one and two are OK but you must be more precise in your opinion. Your punctuations are not in order. Be careful to end sentences with full-stops where needed. Prove your points with examples. Conclusion must be a summary of yr whole essay and end it with a hope for the future. Am an ielts trainer in Kochi, Kerala, India, and teaching English/Ielts is my passion. Am available on mob .9995071609. email: madtreez09@gmail.com. 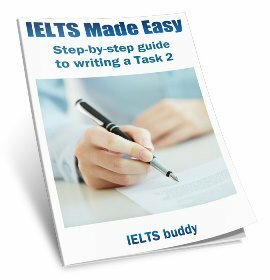 I can give u tips on all four modules of ielts. 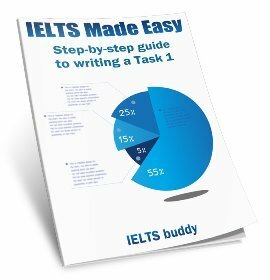 HV 10 years experience as ielts trainer. Am looking out for openings for ielts trainer in Dubai or any other countries. Within, these few decades, there has been a continuous debate whether the parents should be responsible in making his/her child civilized person of the nation or its school’s responsibility in doing so. Some believe it’s totally the responsibility of teachers indeed, it can also be argued that parents do have an utmost role in shaping their child’s future. However, it seems to be increasingly clear that parents being the first person to interact with their children may influence a lot on child personality. Firstly, children are the great follower of their family; as home is the first place where individual first starts to learn, talk, express their feelings and its certainly their parents who act or train them to follow such behaviors. Secondly, parents can only understand the expression and feelings of their child. Who can understand one’s child more than his mother? Psychologically, parents can teach those behaviors more than teacher at a school for instances to respect, to obey, to be honest and to be loyal these aspects may help individual to be socialized. It can also be argued that school’s can play an influential role it’s because of various factors, on the one hand, parents of these days are being busy as compared to the past. Engagement in various job and business activity has compelled them to send their child’s school in early age in Montessori and when they grow up child are enforced to stay in a hostel if the teacher teaches them wrong they copy the same. On the other hand, they learn from academic courses, books encompasses numerous contents, including academic, behavioral and societal aspects all these combined courses may help a person to be an ideal one for instances; if a boy is taught by a teacher who speaks harshly than he implement the same language. In conclusion, though school’s role in shaping child’s future is inevitable but there lies the utmost responsibility of parents to make a good socialize members of the nation. Every parent wish to see their children to be a valuable member in the society. To be a good member of the society, children have to get good education and some social experiences too. In our society some people claim that parents are the most responsible people to make the children that way need to society. Conversely, some are believe that this should be done by the schools. A person who lives according to norms and customs of the society, gives contribution to maintain wealth of that society and gives service to it's members is called the perfect member of that society.As we heard, the first school for a child is the home and the first teachers are parents. There are lot of things that child learn from home and parents. Love and affection, human interaction, norms and customs is learned from home. Socialization begins in the hoe and parents teach children, the way should behave in society. Things that learned in childhood become a part of personality development and have a lasting impressions on them. Kids by nature mimic the parents. Hence, parents have great ability and responsibility on convert their children to good person. On the other hand, increasing business of day to day life parents have not sufficient time to spend with children.Therefore schools also take some responsibilities regarding this matter. School is the second home for children and teachers are the second parents. Most kids are very close to their teachers. They follow things what they learned in the schools as rules. Schools can teach disciplines to children. School is the place that guide the child reach to valuable position in the future. It is evident from all discussions that both arguments carry equal strength and significances and neither can be refuted outright. Therefore I strongly believed that both parents and school have equal responsibility to make child a good member to society. 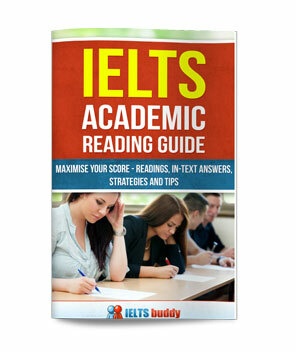 Help this IELTS candidate to improve their score by providing comments below. 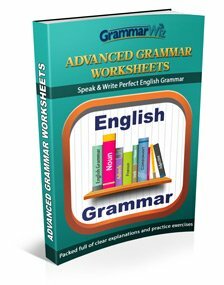 ur thoughts and proper arrangement of sentences are good but there r few spelling mistakes u need 2 take care of...good luck!